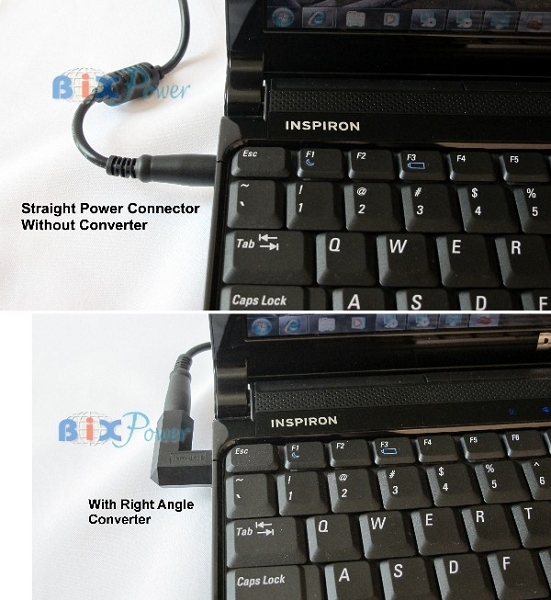 This Right Angle Converter can convert a straight power connector on some Dell and HP/Compaq laptop computer power adapters to a right angle connector. 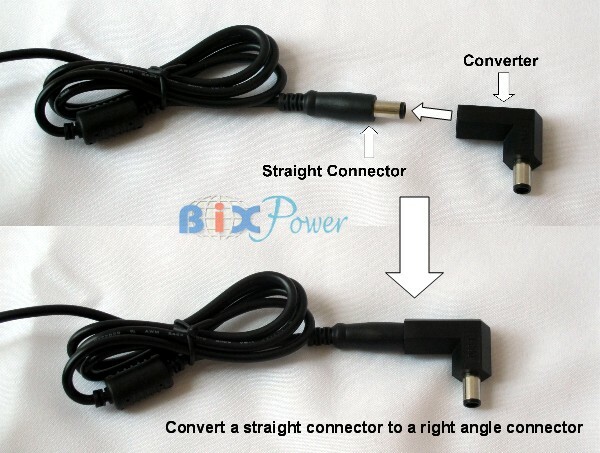 This Right Angle 90 degree connector converter can convert a straight power connector on some Dell and HP/Compaq laptop computer power adapters to a 90 degree right angle connector. 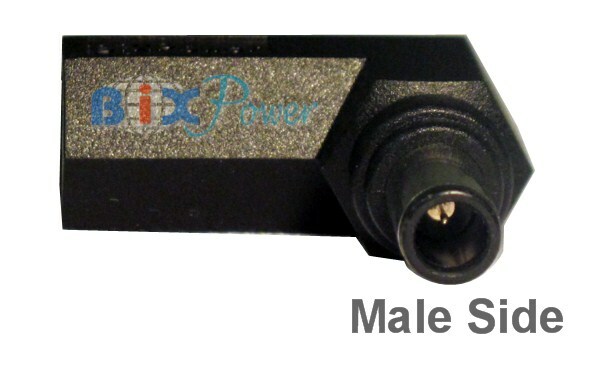 The male side has a 7.4mm (Outside Diameter) x 5.08mm (Inside Diameter) male connector with center pin which will work for a lot of Dell and HP/Compaq laptop computers. 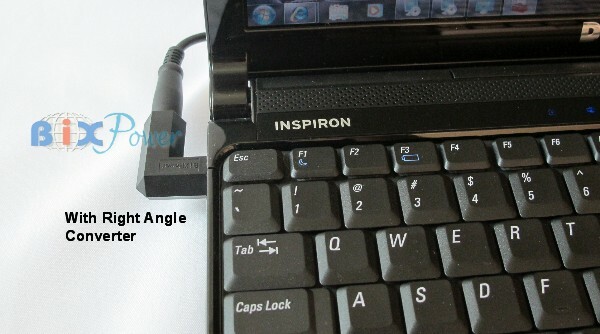 Note:* If your Dell power adapters have Octagon shape connectors, the this LC90 converter will NOT work for you. 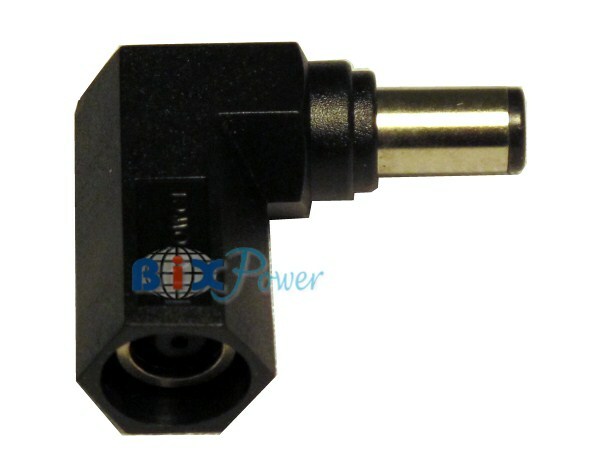 The female jack on LC90 can only plug into a Dell or HP power adapter with 7.4mm/5.08mm male Round shape connector show above. 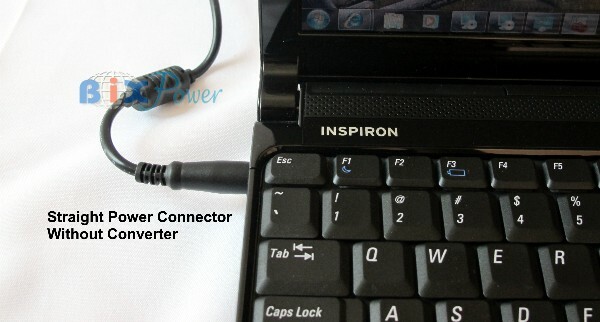 This converter is only for HP Compaq laptops that using a big round shape power connector with center pin. 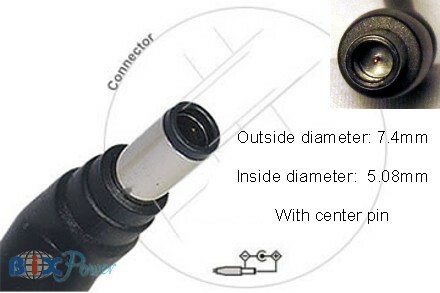 The outside diameter of the connector is 7.4mm. If your HP Compaq power adapter has a smaller connector, you can not use this converter. Item exactly as described, service very professional. only reason for 4* feedback was due to P&P costing approx. 3 times cost of item! Guess it's a supply/demand situation, they could supply what I needed when I could find only other suppliers who were hard to pin down for specifications & details! The 90 degree adapter is exactly what I was needing for my situation. To date - it is working flawlessly. Great shipping times.